ORANGEVALE — To the unsuspecting ear, a camp in Orangevale may look like your average music class, but most of the students have only been playing music for a matter of hours. “It’s definitely a boot camp. It’s a songwriting boot camp,” Matthew Hammond said. 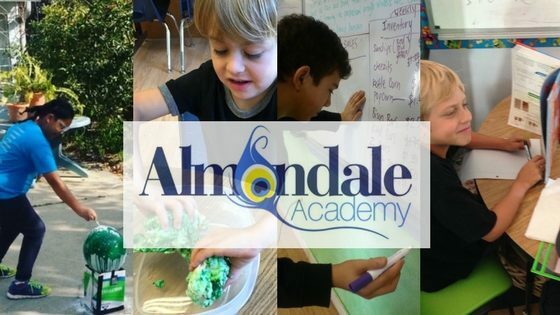 Hammond is the director of Rock Band Camp at Almondale Academy in Orangevale. Over the course of a week-long summer camp, he teaches kids to create a song from start to finish. “Most people wait until they’re really advanced at an instrument before they start writing music and I think we’ve got it backwards. I think they should start writing right away,” Hammond explained. “I think it is a very unconventional method but I think it definitely works because it just pushes us to work harder,” said eighth-grader Jackson Rohrer. Some of these students have never picked up an instrument before. “I’m hoping to learn how to play the drums,” sixth-grader Shunem Gilead said. Others students came to the camp to hone their skills. “I already play piano and a little bit of drums, so I thought maybe I could get better at both,” explained sixth-grader Josh Tollestrup. By the end of the week, each student will have their own original song to perform for their family. “We have about 12 hours to take a song from beginning to finished product and perform it,” Hammond said. They’ll have an entire band of classmates to play it with them. “With this added support and all of the other students, it’s going to sound so much better,” Jackson said. Hammond hopes the budding songwriters will walk away with a deeper understanding of just how powerful music can be. “Music can make you feel anything. If you’re feeling down, it can make you feel happy. If you’re feeling mad, it can make you feel calm,” Jackson explained. “I think the confidence you get when you feel like, ‘Hey, I can make a song!’ I think it allows you to look people in the eyes more. I think it’s a human connector. It is transformative,” Hammond said.